I continue to be impressed with the ecosystem of technology companies whose products enable online video to be delivered better, cheaper and faster. Video quality has made incredible strides over the last ten years, evolving from grainy postage stamp-sized experiences to gorgeous HD or near-HD experiences that are becoming more routine. This is causing a powerful "virtuous cycle" to take hold: as users' video experiences improve they watch more video. As they watch more they help fuel more investment in the online video medium. In particular, CDNs' ability to offer better service even as their delivery rates continue to plummet is based on continuous improvements in their infrastructure. Similarly, content providers' ability to offer higher-quality video is based on improving operational efficiencies and costs in their content management and publishing processes. Two announcements today illustrate both of these dynamics quite well. Blackwave's focus in on giving CDNs a more powerful, more efficient way of storing and serving high- quality video content. The R6 reduces the CDN's hardware requirements by offering both higher-density and more intelligent storage. One example is that Blackwave continuously gauges the popularity of certain pieces of content. If their popularity increases, more resources are provisioned for higher-availability; if their popularity decreases (as for Long Tail content), they get fewer resources. Among other things, Blackwave is also able to support WMS and Flash streaming, FTP uploading for content ingest and "multi-tenancy" for customer resource sharing. The net effect of all this is that Blackwave believes it can deliver 10x improvements in both capex (through lower hardware requirements) and opex (through lower power, cooling, data center costs). All of this of course means that CDNs gain more financial flexibility to deliver ever higher quality content from their customers. Separate, thePlatform (note a VideoNuze sponsor) is announcing today that it is launching mpsManage Ingest, a new streamlined feature for ingesting its customers' content. Marty Roberts, thePlatform's VP of Marketing told me last week that as video quality has increased - thereby causing an explosion of file sizes - the time and effort to ingest them has grown more burdensome and costly. This is particularly true for companies with large or dynamic video libraries. mpsManage Ingest sets up "Watch Folders" where customers push their content via FTP, a feed reader for thePlatform to subscribe to updates and multi-format ingest adaptors. mpsManage Ingest carries no extra charge, and continues the company's recent efforts to lower the total cost of operating for video content providers (see earlier post on thePlatform's mpsManage Storage and mpsManageCDN offerings). These are just two examples of how improved technology is enabling higher-quality video. There's plenty more happening; I recently received a briefing from Nokeena, which provides video caching, streaming and delivery intelligence for delivery across screens, a category that includes others like Verivue and EdgeWare, which I haven't spoken to yet. Then there is adaptive bit rate streaming from companies like Move Networks, Adobe and Microsoft, efficient transcoding from companies like Grab Networks, HD Cloud, mPoint and Encoding.com and file transfer and work flow acceleration from companies like Aspera and Signiant. Adding it all up, the ecosystem of technology helping enable higher-quality, more efficient delivery of online video is impressive and its momentum is growing. Users will continue to benefit from all of these initiatives, as the quality line between conventional delivery and online delivery further blurs. Below is the 17th edition of the VideoNuze Report podcast, for May 22, 2009. This week Daisy takes on 2 topics: how book publishers are (finally!) embracing video to promote their authors and titles, and also what NBC's local media division is doing to roll out new web sites to support its ten owned stations. They're adding lots of original content (including from 3rd parties), video, social media features and more community emphasis. No surprise syndication is a real push. Local stations have been really hammered by the recession and also by the shift to broadband distribution, so it's good to see NBC being aggressive. Separate but related NBC.com is my focus on this week's podcast. Specifically, I add more detail to my post this week about how NBC.com is leveraging its existing online/broadband infrastructure to support its mobile video efforts by using Kiptronic, a mobile video ad insertion company. For those of you celebrating the long Memorial Day weekend, and the official start of summer, enjoy! I'll see you on Tuesday. This morning Limelight announced it has acquired Kiptronic for cash and stock. Just yesterday I wrote about how Kiptronic is helping NBC.com insert ads into its mobile video streams by plugging into NBC.com's existing work flow and DART ad infrastructure. While NBC.com is on the leading edge of blending its broadband and mobile video infrastructures, based on my conversations with other video content providers, I suggested this is going to be a significant future trend. David Hatfield, Limelight's SVP of Products, Marketing and Sales, who I spoke to earlier today about the Kiptronic deal, echoed that sentiment. While mobile video is still in the early stages, David said that for "all of its customers, mobile and Internet-connected devices are top-of-mind" and that they are looking to partners like Limelight to cost-effectively address new 3 screen opportunities, as well as challenges like audience fragmentation. David explained that having worked with Kiptronic for 3+ years, they shared a common vision of the importance of blending broadband/online infrastructure to support the mobile/Internet-connected device world. Both companies also emphasize open video ecosystems, and Limelight intends to continue supporting other CDNs that Kiptronic has been working with. As I said yesterday, the iPhone has been responsible for driving a lot of today's mobile video usage, but with other smartphones and devices coming on strong, mobile viewership is poised to broaden and intensify. With Kiptronic under its tent, Limelight will be better positioned to serve its customers' mobile needs, and augment its core CDN services. Here's another sign of the times: thePlatform is announcing this morning that it has launched three new initiatives aimed at reducing small-to-medium (SMB) sized content providers' total cost of running their broadband video operations. In the context of the woeful economy, it's a savvy move. 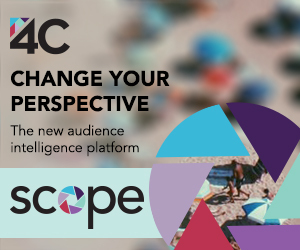 In effect thePlatform (note, a VideoNuze sponsor) is using its scale to create a buyer's cooperative to save money on three services (CDN, storage and others), thereby enabling its SMB customers to receive pricing comparable to what big customers can negotiate themselves. With thePlatform's customers driving 440 million video views in December '08, (3rd place after Google's site and Fox Interactive Media) according to comScore, the company is in a strong position to use its size on behalf of its SMB customers. I talked to Marty Roberts, thePlatform's VP Marketing, who explained the specifics of how the savings would work. thePlatform's initiatives are based on an analysis it conducted of its SMB customers' key cost elements. No surprise, the cost of delivery was the biggest chunk, coming in at 78% of total. This was calculated using a set of assumptions including $.55/GB for delivery. For its new "mpsManage CDN" service, thePlatform has partnered with EdgeCast to resell its service for $.35/GB, resulting in a 36% savings on delivery costs. It will also be available on a utility basis, meaning no monthly commitments. Marty said that thePlatform will continue to work with its other 15 CDN partners, but I would guess that this new program is going to gain a lot of attention among its SMB customer base. Delivery costs have always been a central issue for making the broadband P&L work. Having done many business cases for various content providers over the years, I'm well-acquainted with how quickly CDN costs can gobble up potential profitability even though the cost/GB delivered has plunged over the years. Yet there is a raft of CDNs out there to choose from, and the key is finding the right one for your needs at the moment and your budget. Still delivery costs persist as a major flashpoint: some of you may have read Mark Cuban's post just 2 weeks ago "The Great Internet Video Lie" in which he basically asserted that large CDNs and their pricing are the real gatekeepers to a truly open broadband distribution model (for the record, I think some of his points are valid, but long-term his logic is flawed). The other programs thePlatform is rolling out are important, though not as impactful as the delivery option, simply because their percentage of underlying total costs is so much smaller in size. thePlatform is offering a new storage program which slashes the cost of storage from $8/GB on average, to $2/GB. Though a big cut, thePlatform calculates storage only accounts for 5% of total costs today. Lastly, through its new Advantage program it's tapping into a select group of its ecosystem partners to find another 10% or more cost reduction on services like advertising, reporting and analytics and online community creation. Advantage program participants include Panache, BlackArrow, TubeMogul, Live Rail, ScanScout, Gloto and Visible Measures. Add it all up and thePlatform believes it can offer a 32% reduction in "total cost of ownership" for SMB video content providers. These new services create a new revenue stream for the company, as the reduced prices include a margin for thePlatform as well. And as Marty pointed out the SMB space is quite vibrant and these programs will allow thePlatform to be more competitive in winning deals by giving them another negotiating lever. thePlatform's moves are also smart from a positioning standpoint; in this troubled economy I think providers who overtly message that they are doing what they can to save customers money generate valuable notoriety. In good times everyone's focused on top-line growth and wants more features and flexibility. In bad times those goals are still valued, but saving money - which can often make the difference in merely surviving - is prized over everything else (Ben Franklin said it best: "a penny saved is a penny earned"). As a result, I suspect we'll see more companies unveiling messages of this kind in the months to come. Video Quality Keeps Improving - What's it All Mean? Is it just me, or are you also noticing that the quality of your online video experience is getting consistently better and better? Even though I'm totally immersed in the space, periodically I will find myself watching something online and still think to myself, "This quality is just unreal!" I've had the experience of watching some or all of the following recently: the Democratic convention on demconvention.com, the movie "Ordinary People" on Hulu, swimming on NBCOlympics.com, trailers on Fancast and "Eli Stone" on ABC.com, among others. In each case, the quality of the video is outstanding, even in full screen mode. All of this is due to tremendous innovation in the content delivery world. This includes not only traditional CDNs such as Akamai, Limelight, Level 3, CDNetworks and others, but a raft of other players specifically focused on optimizing video delivery quality such as Move Networks, Swarmcast, Digital Fountain, Vusion, BitGravity and others. Further enhancing the experience are improvements in media players like Windows Media, Flash, QuickTime and more recently Silverlight. The innovation and investment in this space shows no signs of abating. I was reminded of this just last week in a call with Perry Wu, CEO and co-founder of BitGravity, which yesterday announced a strategic relationship and investment from Tata Communications (part of Tata Group, the massive Indian conglomerate). Perry explained that the underlying theme of the deal is to deliver video at consistently high quality on a global basis. That aspiration fits with the increasingly international-oriented distribution strategies I hear about from content providers. While fast-growing international markets have been core growth drivers for content companies, frictionless and cost-effective IP delivery is creating a whole new ball game. I expect international reach - and the ability to monetize with locally-appropriate advertising - to become more and more important. Meanwhile, back in the U.S. surging video quality means the bar is getting higher for all video providers. Delivering video without a full-screen option, or where the audio and video aren't synched perfectly, or where rewind/instant play isn't available will soon be perceived as sub-par. For budget-minded broadband content startups this will require heavier investments in delivery services if they're to be taken seriously. For traditional networks and the Hollywood community, higher quality broadband delivery means the shift from on-air to online consumption will only accelerate. As more consumers come to see broadband as a legitimate alternative, they'll continue modifying their behaviors. With these shifting eyeballs comes a slew of economic challenges (the "analog dollars to digital pennies" anxiety) that must be urgently addressed. Lastly, for the owners of local broadband networks (cable operators, telcos, etc.) surging video quality increases the pressure on their networks' delivery capacity. When a handful of users are watching high-quality long-form video that's one thing. But what happens when it's the norm? Bandwidth management and net neutrality debates are sure to intensify. While all of these uncertainties swirl, consumers are gleefully seeing a high-quality video Internet unfold that just a few years ago would have seemed unimaginable. Move continues its fund-raising prowess, raising a large C round. As more content providers push the HD quality bar, Move's content delivery services have increased appeal. Hulu, the NBC-Fox aggregator is using Signiant's media management platform to ingest content from the various content partners it works with. For the first time Microsoft has used a third-party content security system to add a layer of protection for content providers using the company's new rich media plug-in. Building on its recent launch of EZSearch and EZSEO to enable video discovery, EveryZing has introduced a management console for the products for which Cox Radio will be the first customer. Live streaming gains further traction as Mogulus and Kulabyte announce deal to bring high-quality live Flash streaming to producers. No doubt there will be plenty more over the next couple of days. Last week's unveiling of HDWeb from Akamai (disclaimer: a VideoNuze sponsor), coupled with Limelight's recent announcement of its LimelightHD service offering, further raise the visibility and near-term prospect of higher-quality video streaming. Underlining this was the impressive array of support in the two press releases from customers willing to be quoted expressing their interest in HD. I read all this as putting to rest any doubts about whether content providers are interested in offering HD. Supporting Akamai's release were MTV, NBA, Gannett, while supporting Limelight's release were Fox Interactive, Brightcove, Adobe, Silverlight and Rajshri.com (India's #1 broadband portal). Content providers I talk to are enthusiastic about pushing the quality bar, though a key issue is cost of delivery and potential ROI. Obviously to push out HD-quality streams means higher bandwidth and storage needs, the 2 key drivers of CDN charges. To support higher costs, improved revenue potential is required. And this is why HD rollouts are dependent on broadband video advertising prospects. With ad support the primary business model for broadband video, I think a chicken-and-egg dynamic between ads and HD is going to play out. The better the ad revenue prospects, the more willing content providers will be to invest in HD. This is a reminder of why further maturing of broadband video ad models and supporting technologies are so important. So while the paid download model will also continue to grow, if you really want to get a handle on HD's prospects, keep an eye on the broadband video ad business. Continued traction will govern how much HD we'll all be seeing. In the mean time, HDWeb from Akamai provides an enticing glimpse of an online HD future. I had no problem accessing its content over my standard Comcast broadband connection. The video quality is unlike anything I've yet seen online. 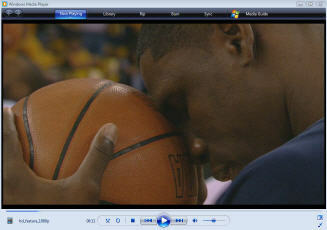 If you get a chance, take a look at the NBA highlights clip (screen shot below). The clarity is mind-boggling. Can Akamai actually deliver this at scale? At the recent Akamai analyst day I attended, Chief Scientist/co-founder Tom Leighton said their network roadmap is to have 100TB of capacity by 2010, which could theoretically support 50 million concurrent 2MB streams. We're a long way from that usage level, but Akamai seems to be squarely focused on making HD a reality. And they're not alone, along with Limelight there are numerous other HD CDN initiatives underway. All this means that the video quality bar will inevitably rise. As the largest CDN and established incumbent in broadband video delivery, Akamai's capabilities and plans are crucial to broadband video's continued growth. To be sure, the company's market dominance has been challenged by newer rivals (which continue to emerge seemingly daily) and talk of alternative approaches such as P2P continues to swirl. As with its underlying web content delivery model, Akamai stakes its differentiation - and premium pricing - on the company's highly distributed content delivery architecture. The company now has 27,000 servers in 1,600 locations within 900 networks. As Tom Leighton,Chief Scientist and co-founder pointed out repeatedly in his presentation, this model contrasts with its competitors' model of co-locating their servers exclusively in big data centers (where Akamai has servers as well). Akamai's distributed footprint addresses a key chokepoint in the Internet: the lagging performance the "middle mile", the vast expanse of routers that forms the guts of the Internet between the first mile data centers/Tier 1 interconnects and the last mile cable/DSL/Ethernet connections. By Akamai's calculations, the performance of the "middle mile" has grown by only 6x, while the first mile has improved by 20x and the last mile 50x (think how your cable model blows away those pokey old dialup modems). In Tom's view, competitors' performance delivering video and other applications is handicapped because their servers don't fully overcome the middle mile's deficiencies. Akamai's goal is to be serving content from servers within 10 miles of the user. Tom's estimates are that Akamai can serve content 2-6x faster than competitors and with 2-8x more reliability. These figures are magnified when it comes to delivering high quality video files. In a test Akamai did for a major media company trying to serve 4GB video files to Japan, it took Akamai 12.2 minutes to deliver the file, while servers located 500-1,000 miles away took 2.2 hours, 3,000 miles away took 8.16 hours and 6,000 miles away 20.hours. This was of course an Akamai test, but, assuming the data holds up under closer analysis, this would be pretty compelling for media companies looking to optimize user experiences. To debunk pundits who have suggested the Internet cannot scale to deliver the explosion of video, particuarly HD, Tom drew a hypothetical case of 50M users each streaming at 2 megabits per second resuting in total bandwidth needs of 100TB of capacity. Akamai's goal is to have just north of that deployed by 2010. Estimating usage is notoriously difficult so who knows whether having 100TB will be sufficient or not, but again by Tom's calculations, none of its competitors will be able to come close. A recent challenge to Akamai's architecture approach has been P2P's potential. Akamai acquired Red Swoosh and outlined how it is integrating this technology. For Akamai, standalone P2P delivery isn't realistic, rather it requires both CDN-assist and also cooperation from willing customers and ISPs who could squelch its adoption. It sounds like the Red Swoosh technology is being slowly introduced to select customers and to test its acceptance. Of course Akamai would like to reduce costs for its customers, but the company made clear P2P is no panacea for content owners expecting to dramatically slash their delivery costs. Yet another challenge has been the prospect of service providers and telcos building out their own private CDNs using gear from companies like Cisco. In an offline chat with Tom, he mentioned that this approach has been around for years, but hasn't seen significant adoption. So he expects some providers will continue to pursue it, but ultimately, Akamai's overall solution approach will always give it an edge over these homegrown alternatives. It's clear that Akamai also sees delivering HD as a key driver of its future success. Customers are expecting ever-higher quality, and this plays into the company's positioning as a non-commoditized provider. So while Akamai acknowledges that price is a key factor in customers' decision-making, it's quite clear that the company is relying on data from its own testing and actual customers' performance to demonstrate why quality and reliability matter, and how these translate into greater revenues and user loyalty. Given the wealth of data they shared today, it is evident that Akamai's sales approach is pretty sophisticated. Having developed and seen myriad business cases for small and large video providers, I know first-hand how significant the delivery cost line item is in these P&Ls and how tempting it is to zero in on low price as the key decision criterion. Expect Akamai to keep making the case that while important, it is far from the only variable. Tomorrow I'll be at Akamai's annual analyst day (disclaimer: Akamai is a VideoNuze sponsor). The morning speaker line-up includes Paul Sagan, President and CEO, Tom Leighton, Chief Scientist and Co-Founder and Mike Afergan, CTO. I attended last year and found it to be an extremely informative day, especially since Akamai is the leading CDN and has been very focused on the media and entertainment space. Update on pricing pressure and what this means for customers? How Red Swoosh P2P integration is coming along and are any customers using it yet? Any insight on service providers' (cable operators and telcos) motivation to build out their own private CDNs with gear like Cisco's CDS? I'll try to provide an update before hopping a plane to Dallas to speak about broadband video trends at a large broadcasters' executive offsite.